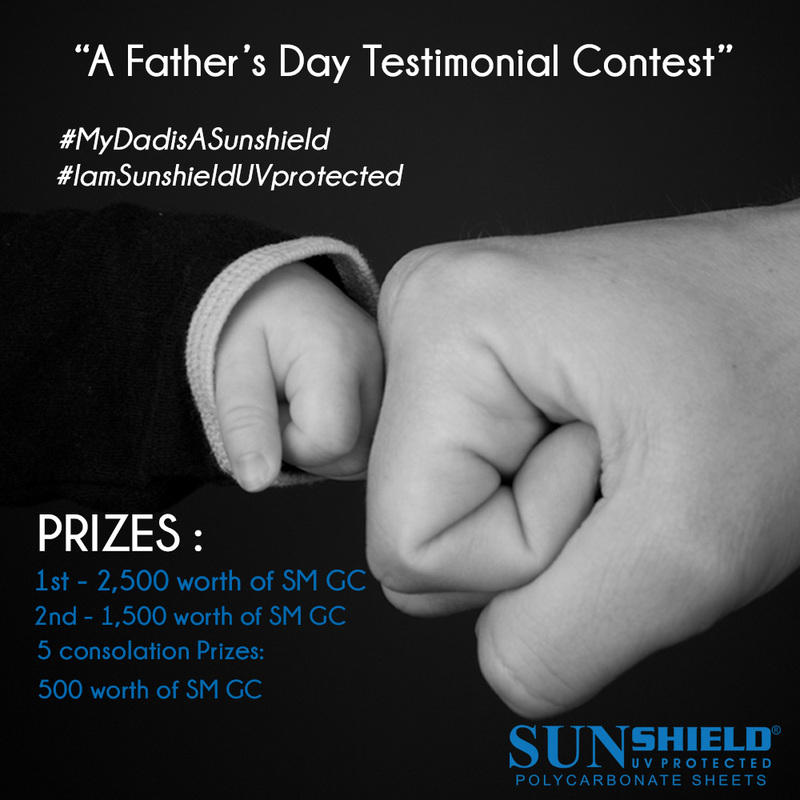 Join Sunshield’s Father’s Day Testimonial Contest and submit your very own testimonies of your Husband or your Father. Let us all celebrate the Dads who have made our lives better being our shield in times of challenges, our protector and provider. Salute and pay tribute to the Man of your life! 1. Tell us why or how your husband/father became your Family’s Sunshield, testimony must detail how the father managed to raise his family amidst challenges. 2. Testimony must come from the wife, daughter or son. 3. Submit testimonies together with a Photo of your Dad / Family to mrpbaring@olympus.com.ph starting MAY 22, 2017 until JUNE 9, 2017. 4. MUST be followers of our official SUNSHIELD Facebook page to qualify.